President Chris Buckley told delegates that they must continue to build a strong future for our youth. 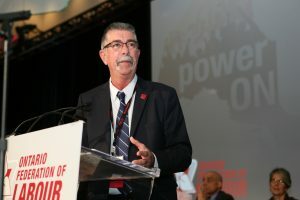 In his opening address at its 14th Biennial Convention in Toronto, the Ontario Federation of Labour President Chris Buckley, asked the more than 1000 gathered delegates to consider the federation’s sixty years of successful organizing for workers’ rights and dignity, and what that means for the work of the federation today. “If we, as a united labour movement, are not constantly pushing for change, pushing for progress, pushing the government of the day to do better by working people in this province, who will?” he said. 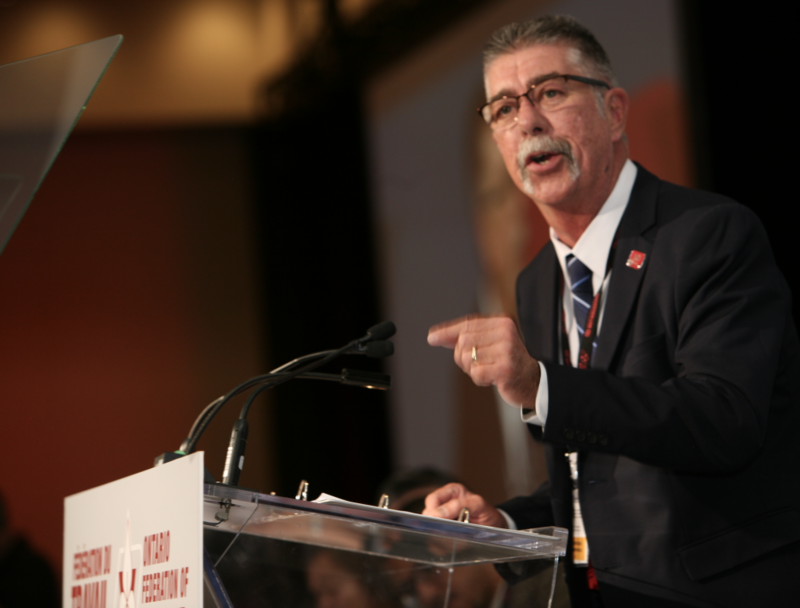 Buckley, who was elected as president in 2015, told delegates, special guests, and dignitaries, that although times have changed since the federation was founded in 1957, workers face similar challenges to those of the past. Those issues include racism, low wages, gender inequality, insufficient support for injured workers, discrimination, and environmental concerns. 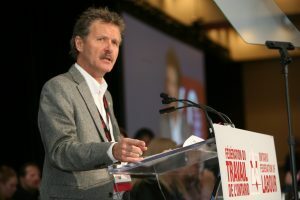 Buckley observed that OFL history demonstrates a strong commitment to addressing all of these by uniting labour and rallying communities. “Great gains can be wiped away if they are not entrenched. We must continue to Power ON,” he said. John Cartright, President of the Toronto & York Region Labour Council, began his remarks to the delegates by sharing the Muslim greeting of peace in Arabic as a way to highlight his belief that delegates should take back a “message of inclusion” to their communities. He also emphasized the importance of thinking about the future. “If our grandchildren can’t drink the water or breathe the air, then we have all failed,” he said. Brigida Ruiz, a shop steward with Unite Here Local 75, and a worker at the hotel where the convention is taking place, also spoke. “We have the courage to be strong,” she said. Delegates were invited to read and review the OFL’s Action Plan which will be the basis for much of the week’s panels, workshops, and discussions. Aaron Bell led the Aboriginal welcome, sharing traditions from across Ontario and beyond. President of Toronto and York Region Labour Council John Cartwright spoke on the need to fight Islamophobia and racism. 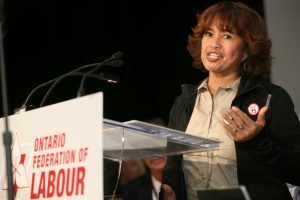 Brigida Ruiz, a hotel worker at the Sheraton speaks about her path to union activism, and the need for solidarity as she welcomes delegates to the OFL Power ON convention.